SR&R thinks SPAH has hit ‘Rock’ bottom and appears Ready for a Big Bounce Higher! 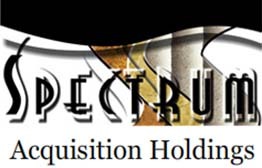 Spectrum Acquisition Holdings, Inc. (SPAH.pk) is a technologies engineering business serving the mining industry. SPAH focuses on geological imaging, automatic leveling systems, composite drilling components, and micro drilling technologies. SPAH is also involved in mining equipment and drilling technologies specific to the exploration, extraction, and environmentally conscious mining and mining equipment used to gather gold, silver, and gypsum. Through SPAH’s fully owned subsidiary, Western American Mining Company, the company has interests in patent pending drilling and mining technology manufacturing equipment. SPAH is also developing a bio-processor that monitors the gasification and digestion of metal ore using bacteria in a controlled agitation tank. In addition, SPAH holds patent rights for developing laser guidance system for diamond wire stone cutting apparatus, safe system for mineshaft illumination, and bio-mining ore processing bioreactor apparatus. SPAH is focused on developing “small footprint” technologies that will minimize the traditionally poisonous and toxic environmental threats posed by the mining industry. SPAH’s business plan includes expansion through targeted acquisitions of companies with strong revenues, high profit margins and audited financials involved with Industrial Equipment Manufacturing, Industrial & Municipal Construction and Engineering companies, industry property management and green mining interests including Bio mining technology and small footprint non-invasive technologies. To receive more information on SPAH, all that a smart penny stock trader need to do is subscribe to our FREE eMail newsletter!